Red, the colour of blood and martyrdom, sends a powerful message on behalf of the persecuted faithful. Millions of people around the world particularly, but not exclusively, Christians, are being persecuted for their faith, but still the international community is failing to act. This column has consistently drawn attention to the plight of those who face discrimination, are intimidated, attacked, imprisoned, or killed, often in a brutal manner, simply for exercising their inalienable right to freedom of religion or belief. The House of Commons, the House of Lords, the Council of Europe, the European Parliament, The White House, The US Congress and Senate, and the United Nations have all spoken out on this crisis, but governments the world over seem reluctant to act. The latest senior figure to point a finger directly at the British Government, singling it out for specific criticism, is Ján Figel, the European Union's Special Envoy for the Promotion of Freedom of Religion and Belief. He recently slated Britain’s performance in an interview with Christian Today saying he was "disappointed" with our Foreign Secretary, Boris Johnson, and expected him to "take it up" after the "British Parliament clearly expressed an announcement of genocide". He was expressing his frustration that, despite its influential position on the United Nations Security Council, Britain had failed to date to press for the invocation of the provisions of the UN Convention on the Prevention and Punishment of Genocide which imposes a multilateral and unilateral responsibility on its signatories to take action to ensure the protections it affords are upheld. He is right to be impatient for action; every day that passes sees more lives being lost, and wave after wave of refugees continuing to flee conflict zones, repressive regimes and bigoted communities. 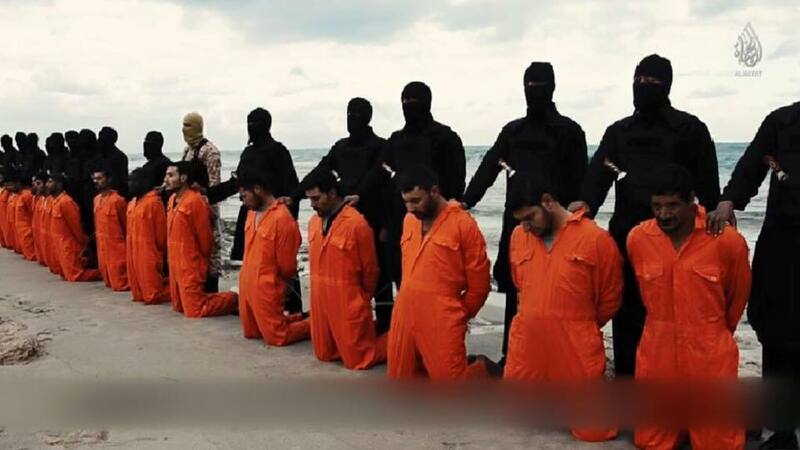 We should not sit back and simply pray for the persecuted millions, we should act in solidarity. Thanks to leading charity Aid to the Church in Need, we all have the chance to do so on Wednesday 23rd November. That evening, both the Catholic Westminster Cathedral and the Church of England’s Westminster Abbey will be floodlit in red, the colour of blood and martyrdom, to highlight the global persecution and slaughter of millions of our brothers and sisters. Those great religious building won’t be the only ones taking part. Other Christian denominations and other faiths are expected to join in. Persecution is experienced by almost every faith group and we need to demonstrate inter-religious solidarity today like never before. We can all do our bit. It may be too late for installing red floodlights at your own church and home, but it only takes a few minutes to pop out and buy a few red lightbulbs and to put lamps in the church foyer and main windows, or indeed in our homes if we have external carriage lights or lamps near the windows. But we can do more. If headteachers or governors are reading this article, could they invite their pupils to wear something red for the day, and offer special prayers in assembly or classrooms for the persecuted and for those who, all too often, risk their lives to support and protect them? For the social-media savvy, we could all paint our Facebook page red, and change our Twitter profile picture and home page to something red - getting our message out to millions of connections with significant impact. If you are taking part in any way, then do tell your local news media in advance, and then send them a photograph and a short explanation once the red is being displayed. Write to your local MP at the House of Commons, London, SW1A 0AA, explaining the action you have taken and why you have taken it, inviting them in turn to write to the Prime Minister to ask what immediate action the Government which she leads will be taking to end the killing, maiming and incarceration of innocent men, women and children simply for exercising their basic human right to believe: a right that is enshrined in the United Nations Convention on Human Rights to which our Government is a signatory. To make sure this is not just a one-off event, arrange a meeting for your parish and neighbouring churches with the local MP, asking him or her to come along and to explain their own views and to take questions from the floor. Make sure to invite local representatives of other faiths including the Jewish, Muslim, Hindu, Buddhist, and Sikh religions. And, if you can, reach out to those who are of no faith, since such agnosticism, atheism and humanism are, in some cultures, an invitation to discrimination, intimidation, violence and death. We should defend the right not believe. There are resources for social media, briefing materials, school packs and posters for churches and windows on the Aid to the Church in Need website: www.acn.org.uk/redwednesday where you can pledge your support. The Twitter hashtag is #redwednesday. All that is necessary for evil to triumph is for good men and women to do nothing. We must all ask ourselves today: what are we going to do on 23rd November to back this vital initiative from Aid to the Church in Need who merit our support and prayers for their important mission? The inaction of the international community and of our own government to address this crisis should make us all see red, quite literally, on Red Wednesday.